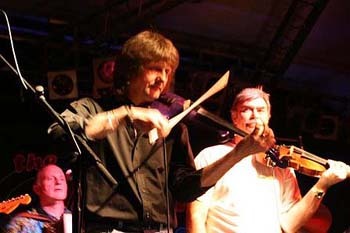 Ian started playing at the age of 7 years, classically to start with and then (whilst attending as a junior exhibitioner at the Guildhall School,London) going on to play Irish folk music. He then joined a band called "Hockett" aka "Magnet" . 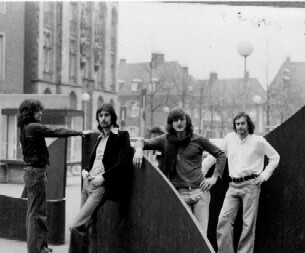 This band, around 1972, were called on by Gary Carpenter play the music for the "Wicker Man" . For those of you who don't have the foggiest as to what I elude, the film is a cult classic , starring Britt Ekland, Edward Woodward and Christopher Lee. 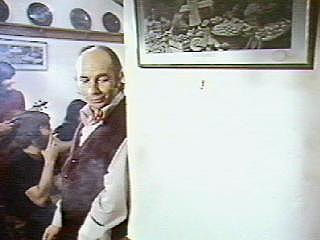 Above: The famous bar scene for the "Landlord's Daughter" and " Gently Johnny" written by Paul Giovanni who is in the picture. More on this on the Wicker Man page. Ian went on to do live sessions including the John Peel show and the Cambridge Festival, with Hockett. After a little while in 1975 he joined the "Bully Wee" band. Bully Wee & Enchanted Lady . Frank then left in 1976 and was replaced by another Irishman , Fergus Feeley. 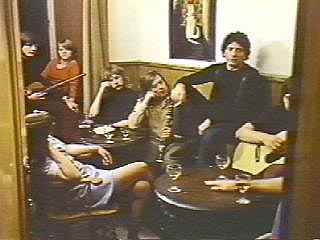 This line-up made one album called "Silvermines". 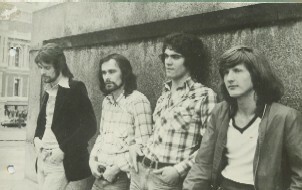 John left in 1979' ish , (Ian is a bit vague at this point) to be replaced by Colin Reece.They made one album together called "Madmen of Gotham" . 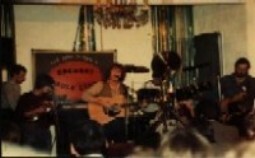 They were also touring all over Europe, Scandinavia and the U.S. 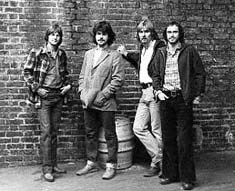 Here they all are in the USA in 1979 in the right picture and in their promo pictures in the UK on the left. 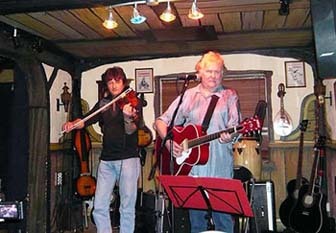 In between this time , Ian and Colin had a sojourn for a couple of gigs with "Crabs". 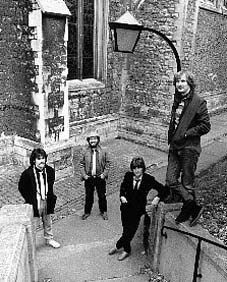 The line-up changed again in 1982 with the departure of Jim Yardley.Maartin Allcock (Later Fairport Convention, Jethro Tull ) was to take his place. And then there were none.... The band finally (much to their fans dismay) split in 1983. Ian gave up music for a few years to have a family. 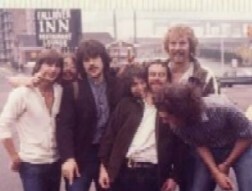 However he rejoined Colin again at the Victoria and Bull pub in Rochester.Kent. Together with Steve Shorey on electric guitar they were doing very nicely. Then , yep you guessed it , someone else went and left! Colin moved to Torquay and Ian was left on his ownsome. Playing with Dougie is a full time job. No sniggering in the back row please!! Seriously , "The Rats" are a force to be reckoned with now , playing as far a field as France, Belgium and even Japan. 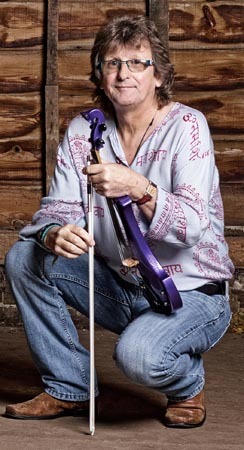 In addition now to what is a very full calender he plays with the "Feast of Fiddles" and the now re-formed "Bully Wee Band" and occasionally with Dave Cousins of the Strawbs.